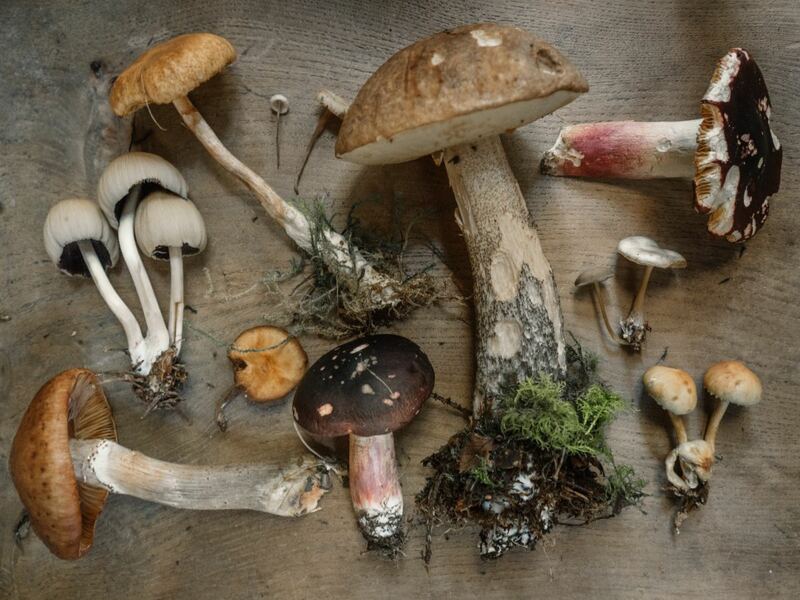 There are many stories and ceremonies surrounding traditional Lakota foods. In Lakota tradition, food is given proper respect because without food, there is no life. The Lakota people developed many ways to obtain food in the unique environment in which they lived. Men and women each had separate, well-defined roles in obtaining food. Their primary food source was North American bison, which provided healthy, low-fat protein. 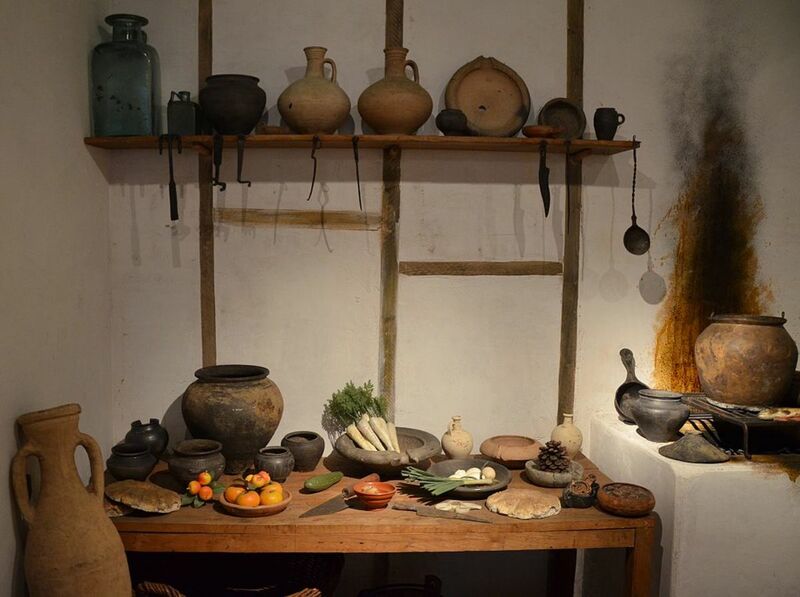 They supplemented their diet with other game, fish, fruits, and vegetables that were gathered or traded. Food and food customs are so important to the survival of the people, that there are many stories and ceremonies surrounding traditional Lakota foods. 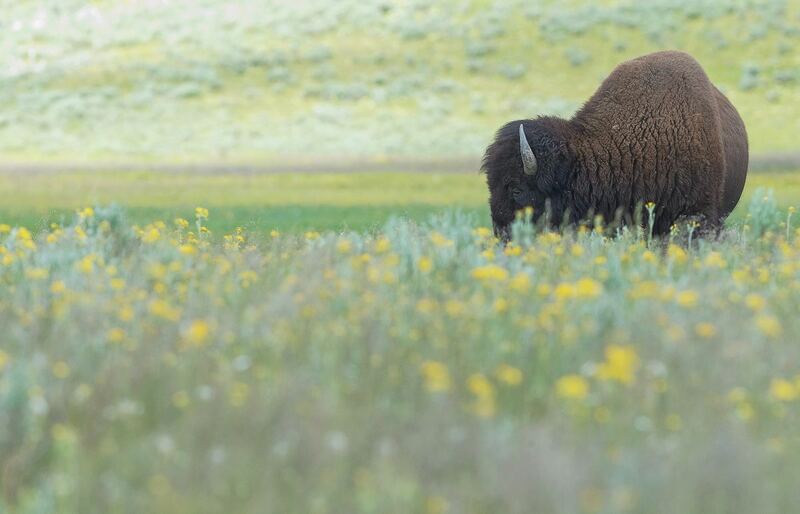 The most important food source for the Lakota was the buffalo or American bison. Pte Oyate is the Lakota name for the Buffalo Nation. Pte hcaka is the true bison, and the Lakota tell many stories about these massive creatures. 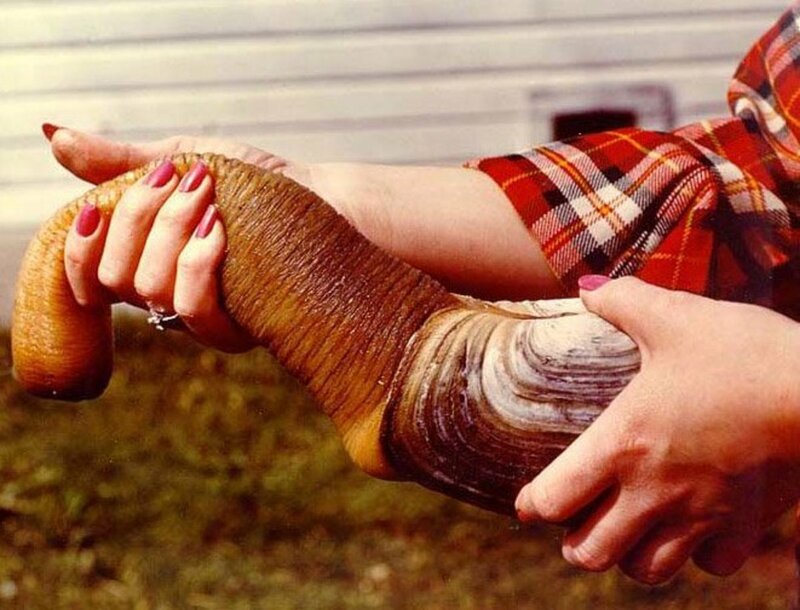 It was not until 2004 that outsiders began to believe stories of these enormous creatures after a skull (7-8 feet across the horns) was found in the Missouri River. Knowledge of the lead cow was very important to hunters. The lead cow of a herd would be watched very intently by scouts prior to a hunt. The scouts could determine where the herd would be in 2-3 days by watching the lead cow's movements. The scouts would then go back to camp and round up the people for a big communal hunt. Although buffalo were the primary food source, the Lakota hunted other animals as well. Wohanpi is a traditional soup that is still very popular in Lakota country today. In years past, wohanpi would have been made with bison meat, prairie turnips, and blo (wild potatoes). Today, it is made from bison or beef, potatoes, and other vegetables. If using bison, remember to decrease the cooking time. Bison has much less fat than beef and if overcooked, it can get very tough and hard to eat. Add the cooked meat to the broth in a stockpot. Add carrots, potatoes, and Worcestershire sauce. 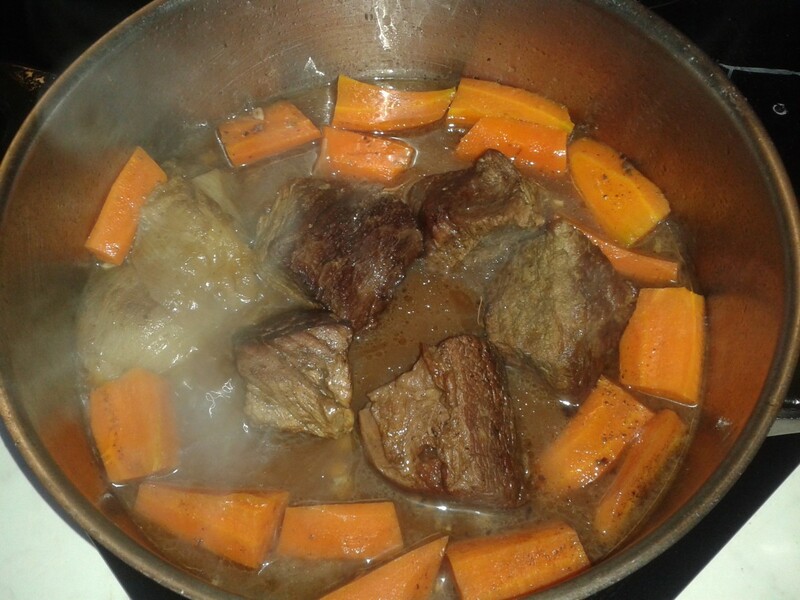 If using bison, add the meat to the pot in the last 15 minutes of cooking. How Did You Like the Wahonpi Recipe? 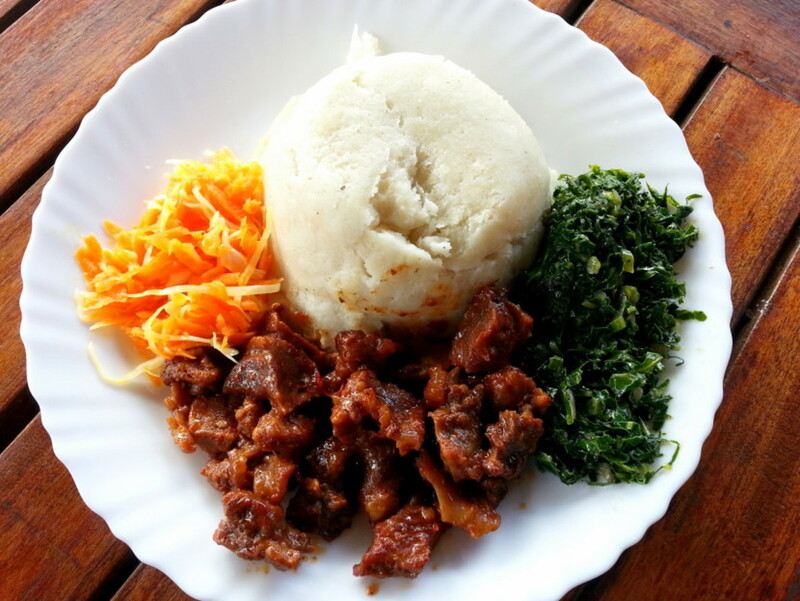 Wasna is a sacred food that is still used in certain ceremonies today, and is a traditional energy food that was used when fresh meat was not available. It was also used "on the road" when Lakota were hunting or moving camp; it is dense and filling, but also light, portable, and requires no cooking. 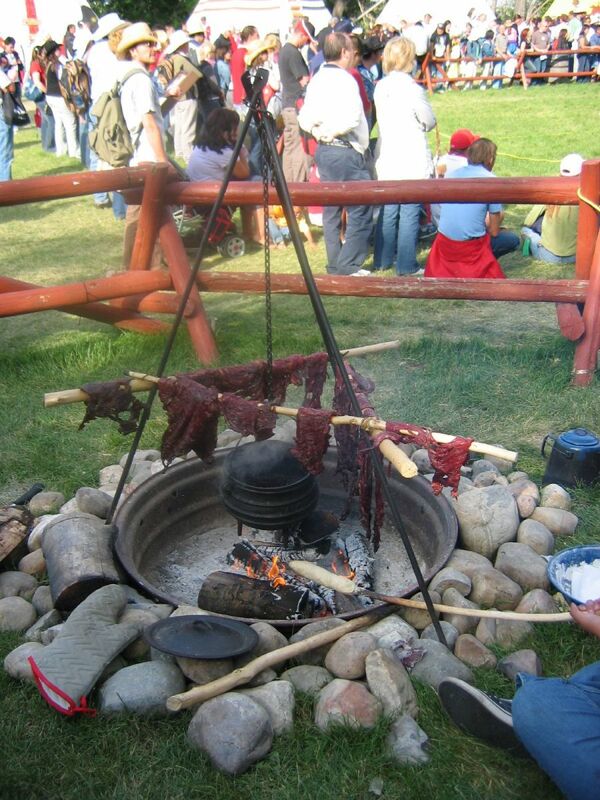 Traditional wasna was made by combining dried, pounded bison meat with dried chokecherry patties. Tallow held the mixture together. First, the meat would be braised or wagagayapi. Every woman had an inyan gmegmela, or round cooking stone that she used to cook on. The meat would then be wakapapi—pounded to a pulp on an inyan blaska, or large, flat stone with a smaller stone. When it was the consistency of powder, the meat would be wasnayapi, or mixed with marrow fat and poured into rawhide bags. Melted fat would be used to seal these bags and this way, the wasna could keep for 3-4 years. The meat would sometimes be mixed with ground berries or even tinpsila (breadroot) to make other variations of wasna. 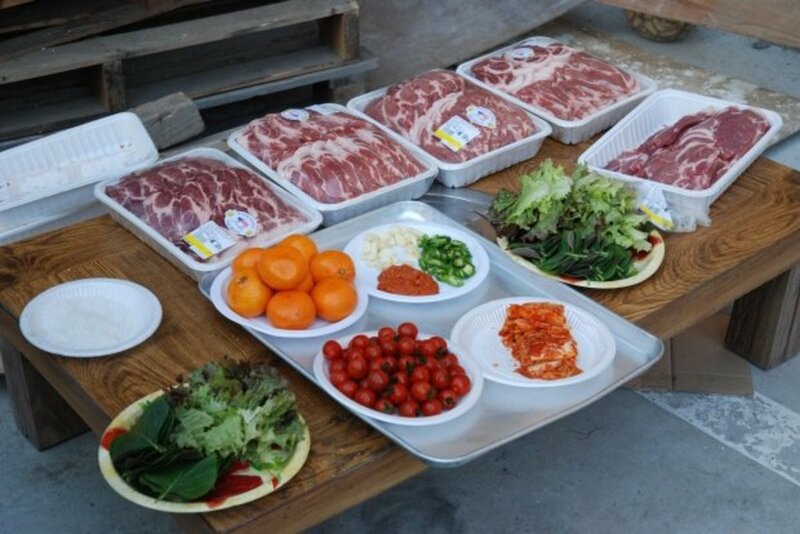 I have made dried, pounded meat the traditional way, and the whole process takes about a month. Give it a try if you'd like, or save yourself a lot of time by finely shredding beef or bison jerky in a food processor. Shred the jerky and berries in a food processor. Mix in the tallow or shortening and stir until incorporated. Form the mixture into patties and dry them in a dehydrator or refrigerate and consume within 3 days. If making your own wasna isn't your cup of tea, but you'd still like to try it, you can purchase Tanka bars and Tanka bites. These are bison and cranberry wasna bars made on the Pine Ridge Indian Reservation in South Dakota. 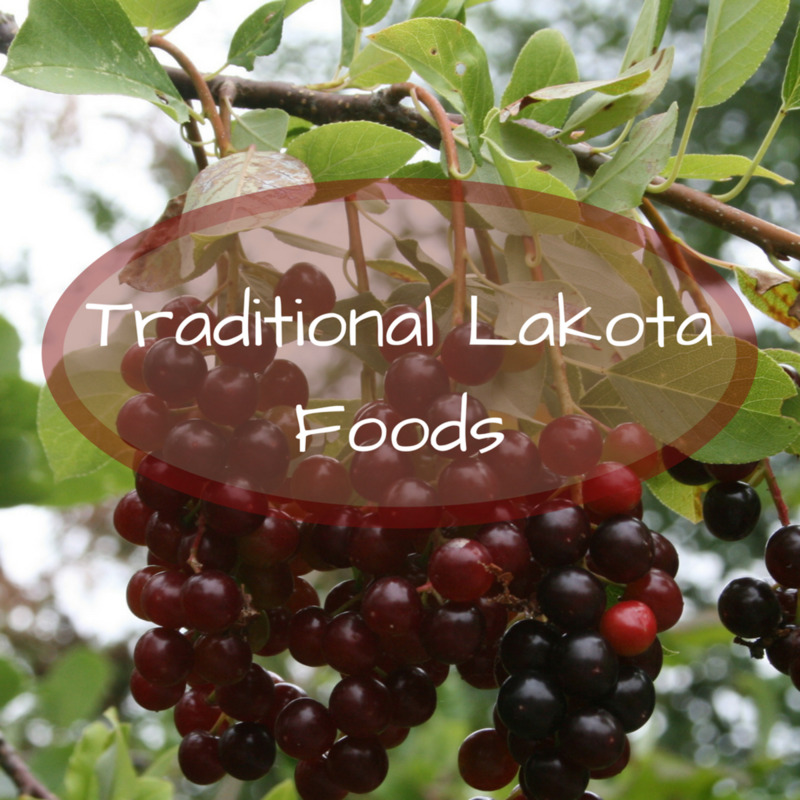 The Lakota people gathered fruits and vegetables from the local environment as well. They didn't cultivate crops themselves, but they traded with other groups who did. Wild Potato: Blo or hognut is a small, bluish root that grows abundantly along Potato Creek on the Pine Ridge Reservation. There are actually three types of timpsila plant. The primary type is the breadroot or scurf pea, and was gathered in June. Once the plants flowered, they were braided and hung to dry. The mato timpsila was also similarly used. This is the tall scurf pea, and the roots of this plant resemble fingers. The Cheyenne timpsila is called the desert biscuitroot. 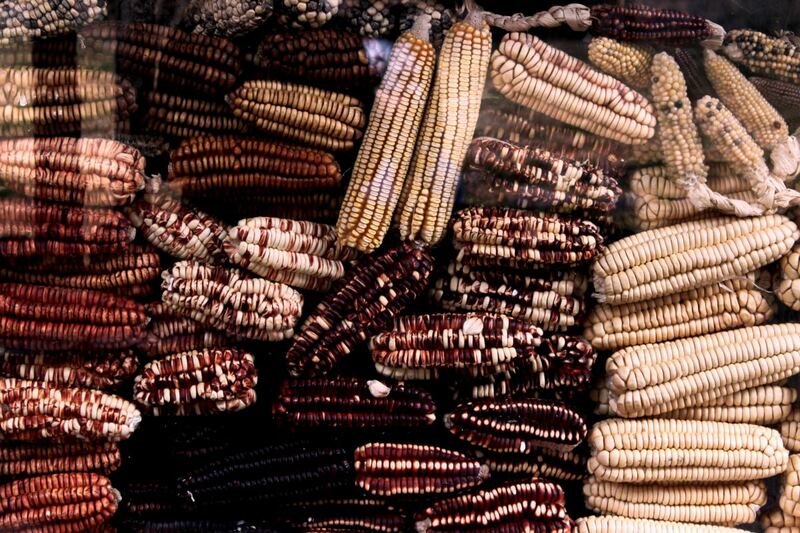 Corn: Corn removed from the cob is referred to as wagnu, and corn dried on the cob is wahunwapa. The ears of corn were wacokin or roasted in the ground, then the ends were braided together and hung on the south side of the lodge to dry. When ground up after drying, corn can be used to make another variety of wasna. Berries: Berries were popular with the Lakota people and there are several varieties available in the local environment. The berries were picked in July. After picking, the berries are pounded into flat cakes and then dried for future use. Berries would also be made in to wojapi, or berry gravy. This gravy was traditionally thickened with timpsila flour, buffaloberry, or huckleberry leaves. After drying, the timpsila would be ground to a powder for future use. 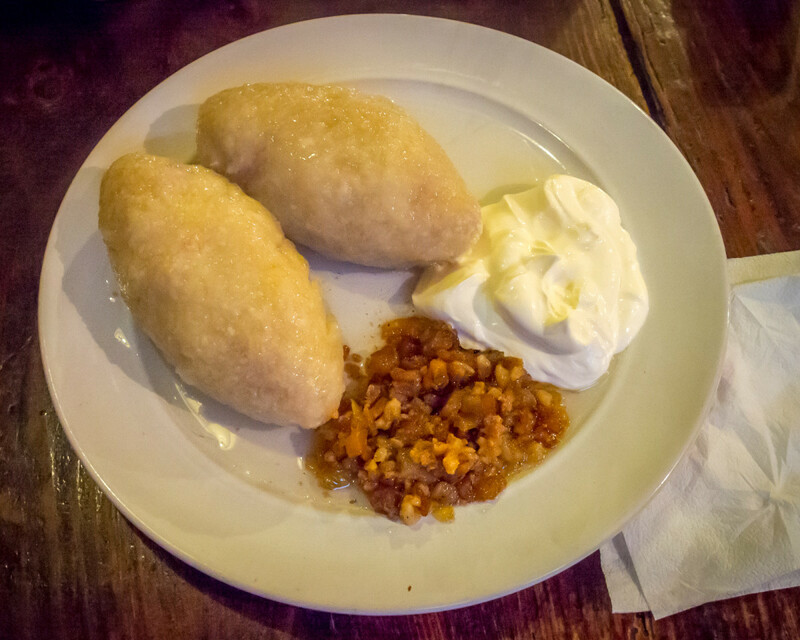 Traditional bread was made from timpsila cakes and dried marrow stuffed in intestines. A popular ingredient in wohanpi or soup (along with papa and timpsila). 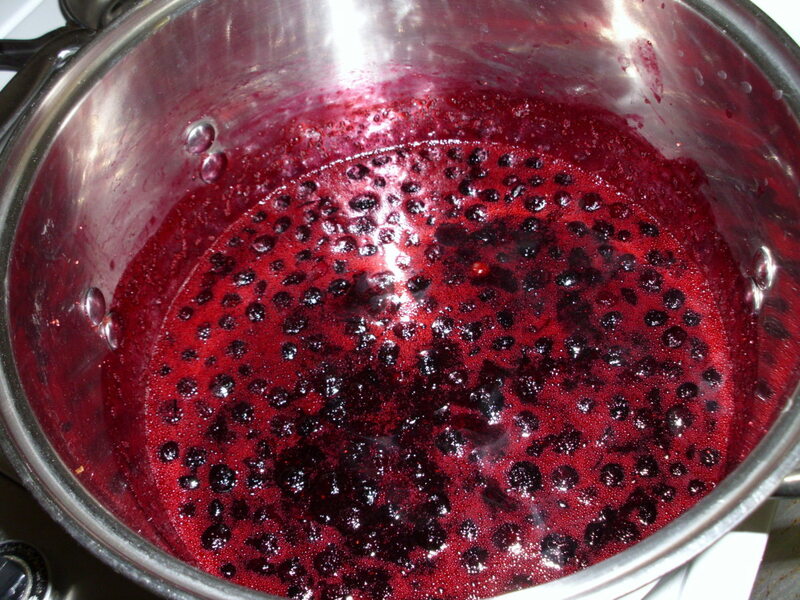 Wojapi is a traditional berry soup enjoyed by the Lakota. Before European contact, wojapi was made with dried chokecherry patties, and dried/powdered timpsila (prairie turnip) was used as a thickener. These days, wojapi is made from a variety of berries (either fresh, frozen, dried, or canned), and most people use cornstarch as a thickener. This recipe uses frozen berries. Put the frozen berries in a stock pot with water and simmer uncovered until softened (about 1 hour). Mash the berries with a potato masher or immersion blender. Add the dissolved cornstarch slowly, stirring, until incorporated. Wojapi can be enjoyed warm or cold. A favorite way to eat wojapi in Lakota country is with fry bread. As we can see, the Lakota people developed many methods to obtain food from their unique environment. The bulk of their diet consisted of meat sources, primarily buffalo, and was rounded out with vegetables, fruits, and other plant foods. This traditional diet sharply contrasts with the commodity foods the U.S. government began sending to the reservations to fulfill treaty obligations. With no more bison left to hunt and only commodity foods to subsist on, the Lakota were forced to move from a healthy, natural, high-protein diet, to an unhealthy, unnatural, high-carbohydrate diet. Prior to the 1930s, diabetes was unknown in Indian country. After this time, consumption of the new, unhealthy diet led to the epidemic of diabetes that is seen in Indian country today. It would be a great benefit if people were able to move back to eating a healthier, traditional diet. Did you like this article? Please share your thoughts and comments in the box below! Have not come across any reference to ferns, ostridge in particular. When I moved to Maine I found Abanaki natives and paleface alike are fond of them and are still harvested in quantity, some times even available in stores. Here in Michigan they are much harder to find in our area and tend to be smaller. I have them straight up boiled, in soup or in scrambled eggs. i like this website and the recipes!!! THIS IS MY ORIGINAL WORK AND IT WAS PUBLISHED ON THIS WEBSITE WITHOUT MY PERMISSION. A DMCA TAKE DOWN NOTICE HAS BEEN SENT TO THE ISP. I would like to know if I could include your Wojapi recipe in a cookbook produced by WIOV., a radio station in Ephrata, Pa. Every year for the past 10 years I have provided a Native recipe. This year their theme is desserts. The cookbook is free to all their listeners. Please get back to me ASAP as the recipes have to be submitted by the 13th of this month. I have made wojapi and served it with Lenape corn bread. e-mail me at hbpysknk@ptd.net please. Thank you. ill have u know i don't care what you think but still thank u at least u care. kitty 26 that was very rude but thanks for nothing. This webpage was very inspiring and thank you for your information. Thank you for sharing this very informative. I gave up eating cow 15 yrs. ago and replaced it with buffalo. I feel so much better. I don't do fast foods and have been trying to go organic with regional foods and preserving all that I can for winter months. I will be able to use some of the reciepes you included thanks. Wow great lens about traditional indian foods - I am especially curious about the chokecherries. Thanks for posting! Wado cousins! thank you so much, i was never taught these eating habits and i want to start eating healthier so my future children know that they don't have to eat the white man's food. they can eat the foods their ancestors ate. i kno i dnt want no diabetes or cancer or none of that. Lovely lens, really interesting recipes. Thanks for sharing! So impressive. I can feel the sacredness that you speak of with Lakota traditions and love the historical information you provide here...as well as some excellent recipes, perfection! Am happy I found your lens. This is really interesting. Traditional diet is I think more healthy. @aesta1: Thank you and I'm glad you enjoyed it. I agree that traditional diets are more healthy. @SaintFrantic: Thank you! Let me know if you try the recipe out - would love to hear what you think of it. @satewas: Are you from the Haudenosaunee lands? Deer meat is very healthy too! I bet you could make wasna with deer meat, although I've never tried it. Nia:wan (Thankyou) I love to eat Buffalo but we don't have any in our territory! We i do get some I will be sure to try your recipe. @LadyFlashman: Thanks for the feedback, I'm glad you liked the recipes. I'm not sure what berries grow in the UK, if you don't have chokecherries the closest approximation would be cranberries. Or if you want sweet berries, I've made wojapi with blackberries, blueberries and strawberries too. Hope you get a chance to try some! What fantastic and interesting recipes! Being from the UK I have never heard of this food before, it sounds great and has got me wondering if I can try to make them here in England! Let's hope that all of us can get back to eating healthier.